Travel is about experience. 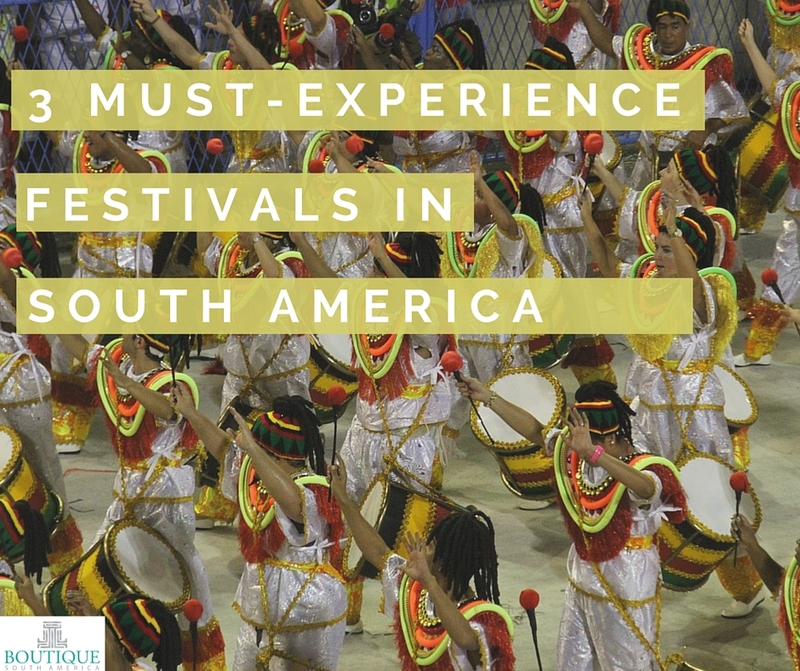 And if you’re on the lookout for a fun, colourful, and one-of-a-kind experience, your best opportunity is to attend the biggest festivals in the world, which South America has plenty of year-round. 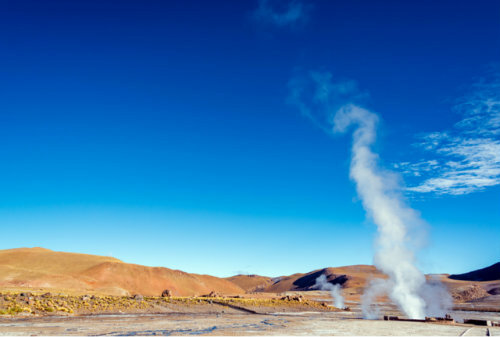 The unique historical and cultural backdrop of South America gave birth to a wide range of occasions that provide its people – and its visitors – a reason to celebrate. There are religious celebrations, harvest thanksgivings, music and dance events, food festivals, New Year revelries and a lot more, each with its own vibrant flavour and unforgettable twist. The festivals gather a huge crowd of devotees, locals and tourists from all over the world. The occasions are never simple; everything is designed for spectacle, pageantry and high energy — a celebration not just of the special event, but also of life itself. If you ever need to choose just one, don’t miss the grandest one of all. Celebrated before the arrival of Lent every February in Rio de Janeiro and other parts of Brazil, Argentina, Colombia and Uruguay, this four-day event is the most anticipated not just in South America but also around the world. 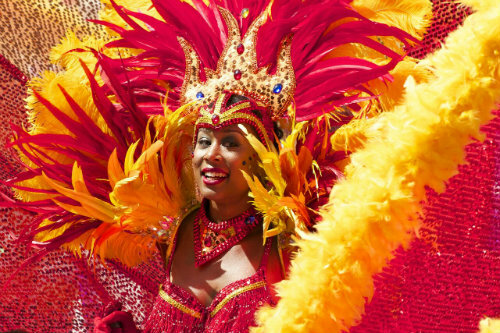 The Carnival is not for the faint-hearted: the non-stop music, the scintillating samba dancers, the stunning floats and costumes and the wild energy of the crowd is a mix for only those who plan to party hard. Celebrated in Ecuador and Peru to welcome the summer solstice, Inti Raymi is another festival that brings the entire city out in the streets to party. For a whole week (typically the last week of June), there are street dances, parades and performances from sun up and there are bonfires and barbecues when the sun comes down. The main part of the fiesta takes place in the Sacsayhuamán ruins, a religious space, where music is played as a way of showering blessings to participants, creating a magical atmosphere and intense energy throughout the day. Unlike some festivals in the region that have been too commercialised, the Tapati Festival remains rooted in the authentic traditions of the Easter Island or Rapa Nui village in Chile. Aside from the continuous music and dancing, the activities also feature the traditional activities of the local culture: sports, chants and rituals, carving, body painting, boat and horse racing, kaikai (string figure) demonstrations, art exhibits and more. Don’t miss the coronation of the Queen of the Island, a moonlit ceremony and a much-awaited finale after a competition among females from the village clans. The Tapati Festival is held during the first two weeks of February every year. Take note that if attending these festivities is in your bucket list, expect that they’re also in other people’s lists. Be prepared for a huge turnout for every festival. If you want to get the best packages and accommodations, South America travel authorities recommend booking and making preparations well in advance. Which South America festival would you like to experience?